I really love this D-TOX PEELING GEL (Super Aqua line). I heard many great things about this product and it is indeed recommendable! It's a peeling gel that lightly gets rid of dead skin and dirt off. I like to rub a small pea size lightly over my face for 30 seconds or so before washing my face in the morning or at night. I use this 2~3x a week. It's definitely not rough on the skin. Just use light pressure. It does its job! here to stay - love this product! This one is on sale for around 7000won (retails price is around 10,000won). 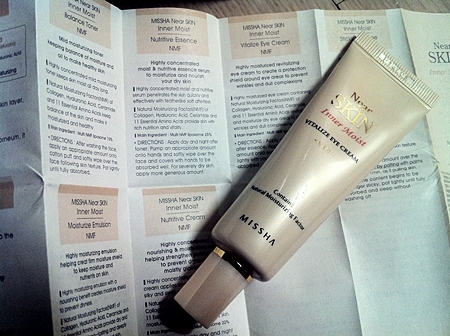 I'm glad I got the Vitalize Eye Cream from Near SKIN (product line). I always had a hard time finding an eye cream. I didn't really have a favorite one, until I tried this! I just had to get this after I saw that it is free of Ethanol, Paraben, Mineral oil, Benzophenone, tri., and GMO! I've been neglecting "eye cream" off my skincare regimen, but I'm not getting any younger ;) the big 3 0 is coming up in less a month, too! Sigh~.. 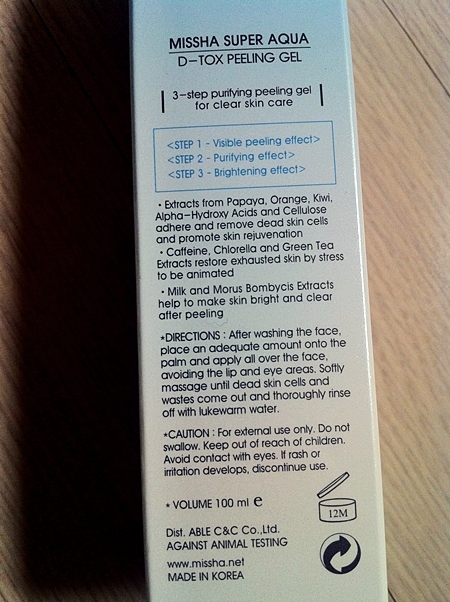 So I want to say this to those youngins - take care of your "delicate eye skin area"(?) before you start turning to it for any saving grace. It penetrates directly into the skin. It's rich enough, yet not overwhelmingly creamy or heavy. 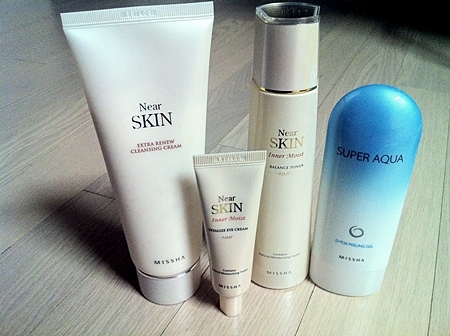 I also like the Balance Toner from Near SKIN line. I've been skipping on "toner" from my daily skincare routine, but this one is free of Ethanol, Paraben, Mineral oil, Benzophenone, tri., and GMO, too! For around 10,000won, I had to try it! I'm glad I did. My skin has no complaints. It is indeed "moist" and I love that it is free of the "chemicals" as stated.